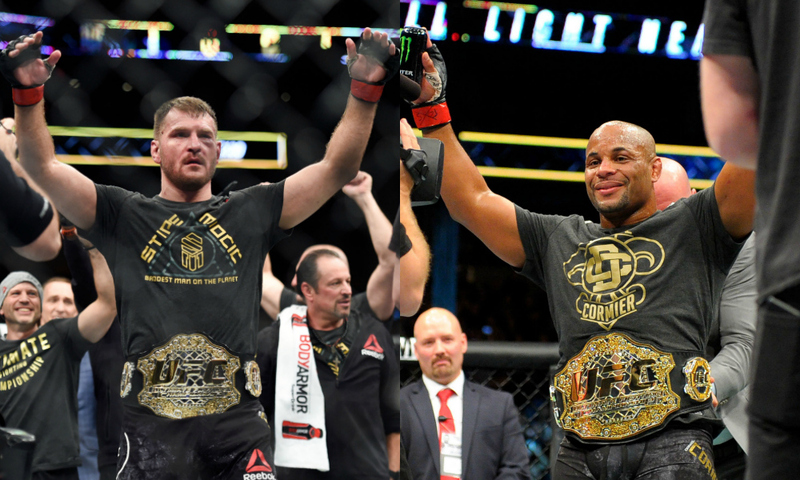 The UFC just announced that a superfight for the heavyweight title is set to go down between current heavyweight champ Stipe Miocic and current light heavyweight champion Daniel Cormier down on July 7 at T-Mobile in Las Vegas. Both fighters will coach against each other in this season of The Ultimate Fighter. Per MMAFighting.com, this marks the first time in the 13-year run of the production that two champions in two different classes will compete against each other. Rumors have circulated that there will be three title fights on the 226 card. That’s right, three! UFC Flyweight Champion Demetrious Johnson would take on UFC Bantamweight Champion TJ Dillishaw and Women’s UFC Featherweight Champion Cris “Cyborg” Justino will face Women’s UFC Bantamweight Champion Amanda Nunes. UFC 226 takes place July 7 at T-Mobile Arena in Las Vegas and airs on pay-per-view. Stay tuned for more updates.